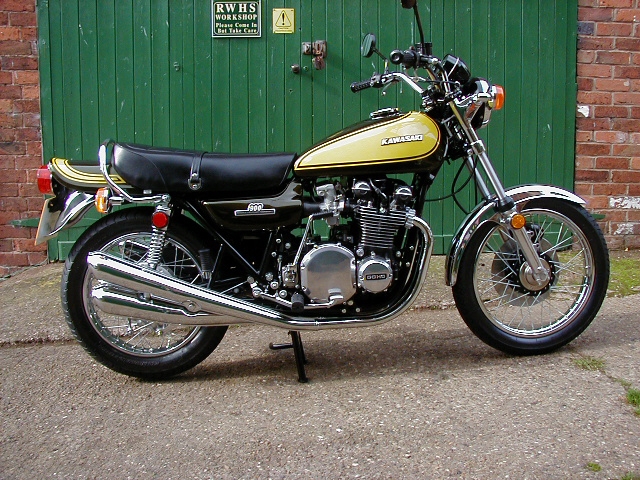 1973 Kawasaki Z1 fully rebuilt to concours / as new For Sale. 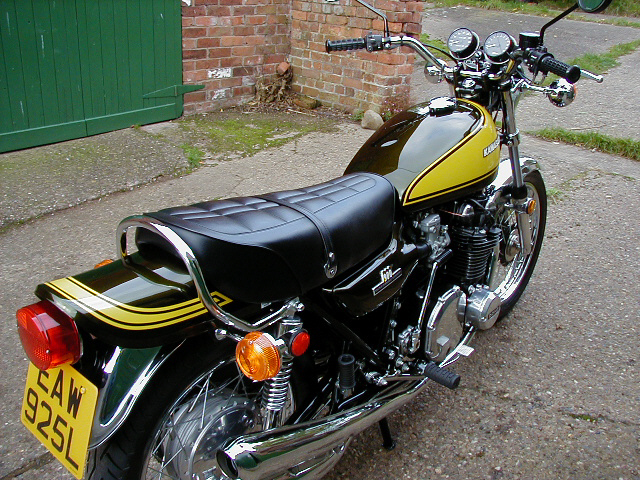 Sold new in the USA in 1973 this machine has been completely rebuilt by us. 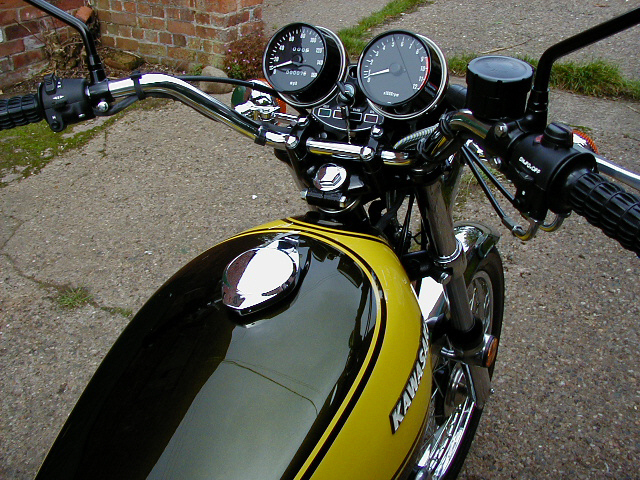 It is UK registered, roadtested and as near to new in every way as we can acheive. 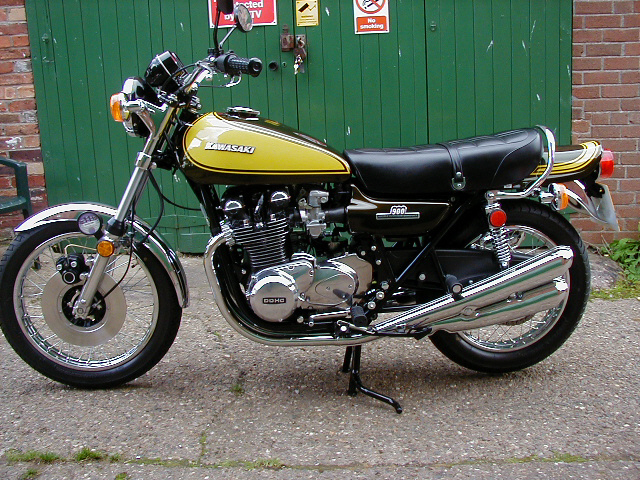 1973 Kawasaki Z1 "Concours" Restoration for sale. See More Photos of this Restoration Below. 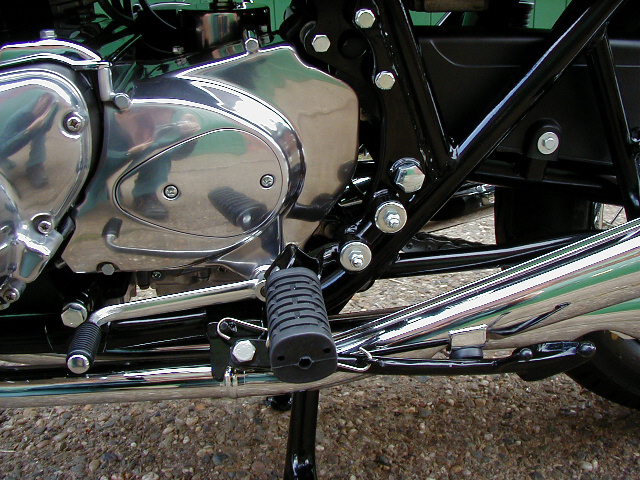 Each bike is completely stripped down and re-built using genuine new parts where possible and to original factory specification. 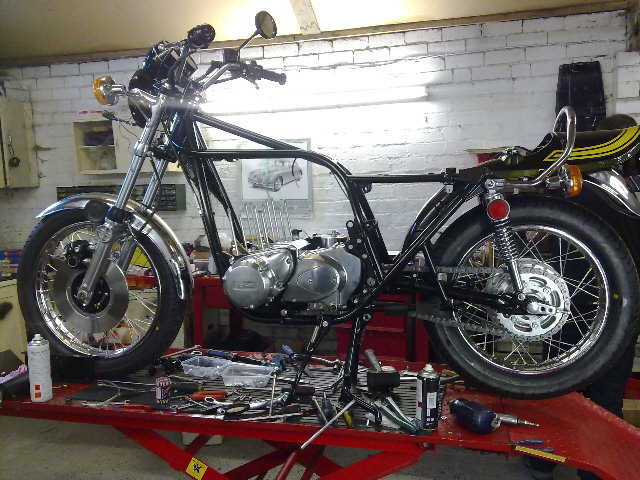 The bike is completely stripped down and checked. 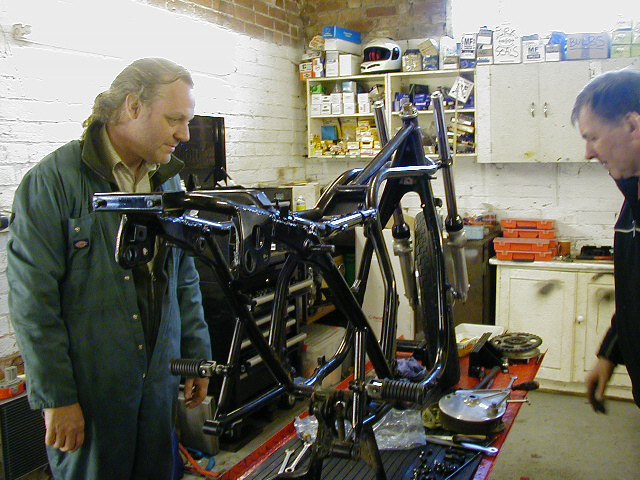 Work starts from checking and re-jigging the frame etc..
Each bike is road tested and ready to go and will of course be warranted for 6 months. 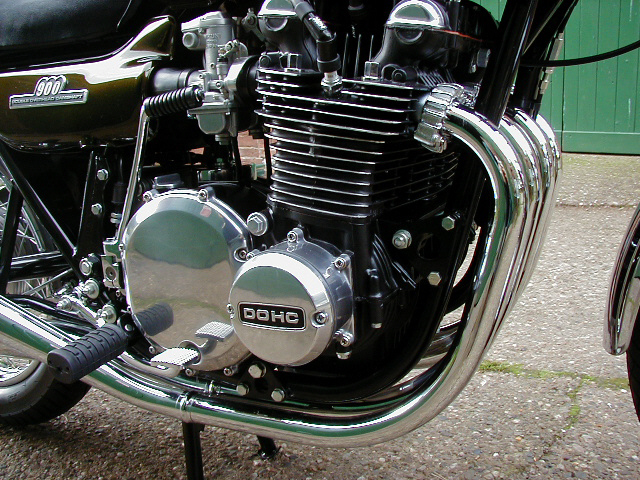 In addition we will be pleased to help with any advice, problems and servicing at any time. 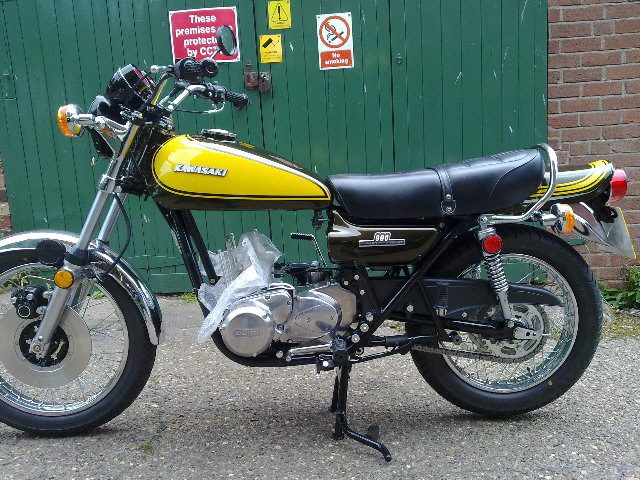 PLEASE SCROLL DOWN FOR DETAILED PHOTOS Showing our Z1 Restoration. 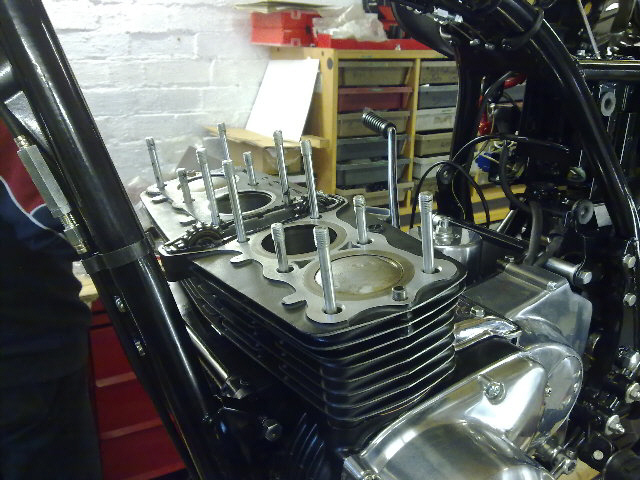 1973 Kawasaki Z1 900 - The early stage of re-build work August 2010 and Tom and George ponder!